England, January 1942: young Australian Ken Harding arrives at his first operational squadron, keen to play his part in the aerial attack on Germany as the commander of a bomber crew. Losses have been high and life expectancy is low, but Ken remains undaunted - until he meets his crew, a foulmouthed, battle-hardened bunch with no time for new boys who can't stand the pace. England, January 1942: young Australian Ken Harding arrives at his first operational squadron, keen to play his part in the aerial attack on Germany as the commander of a bomber crew. Losses have been high and life expectancy is low, but Ken remains undaunted - until he meets his crew, a foulmouthed, battle-hardened bunch with no time for new boys who can't stand the pace. Together they must take the war to the enemy over the most heavily-defended region of the Third Reich - the industrial heartland of the Ruhr, known to the men who face the flak and nightfighters as Happy Valley. England, January 1942: young Australian Ken Harding arrives at his first operational squadron, keen to play his part in the aerial attack on Germany as the commander of a bomber crew. Losses have been high and life expectancy is low, but Ken remains undaunted — until he meets his crew, a foulmouthed, battle-hardened bunch with no time for new boys who can't stand the pace. Together they must take the war to the enemy over the most heavily-defended region of the Third Reich — the industrial heartland of the Ruhr, known to the men who face the flak and nightfighters as Happy Valley. 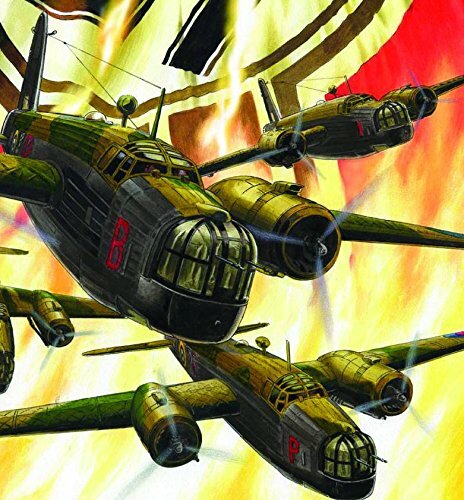 A tale of aerial warfare at its toughest, by writer Garth Ennis, artist P.J. Holden and cover artist Garry Leach!